This Carrier heat pump review guide provides a detailed overview of one of the best heat pump brands in the industry, and one of the most expensive too. We include technical specifications, pros and cons and things to consider before purchasing a Carrier. Carrier is a global HVAC brand founded in 1902 by Willis Carrier. It is now part of United Technologies Corporation. Bryant HVAC is a subsidiary of Carrier, and Bryant’s product line is nearly identical. With 17 Carrier heat pump models available, you’ll find a good fit in terms of efficiency and performance for your needs. The models are divided into four series. Basic: Carrier Comfort heat pumps. SEER is the rating for cooling; HSPF is the rating for heating. So the higher the number, the more efficient the model is. Efficiency is represented as SEER/HSPF. The 20.5/13 Carrier Infinity Greenspeed 25VNAO and the 18/11 Infinity 18VS are the top models. They have a variable-capacity compressor that modulates with minor adjustments from about 40 percent to 100 percent capacity to produce precise and balanced heating and air conditioning. The other Carrier Infinity heat pumps are either 2-stage models that run on low capacity most of the time and switch to high when boosting heating or cooling, or they are single-stage heat pumps that run at full capacity all the time. The efficiency range is 19/10 down to 16/8.5, and most are Energy Star qualified. Carrier Performance heat pump models are a mix of single-stage and two-stage with efficiency from 17.5/9.5 to 13/7.7, with the top model the Performance 16 25HCB6 two-stage heat pump. Two Performance Series heat pumps are compact models that require just 6” of clearance. They represent a good choice for under decks or other locations with space limitations. Carrier Comfort heat pumps are all single-stage models. Just one of them meets Energy Star standards, the 15/8.5 Comfort 15 25HBC5. Carrier Hybrid Heat dual fuel models are offered in each series. Here are reasons to choose a Carrier heat pump and concerns to consider first. This brand, especially in Infinity and Performance models, has an outstanding service record for reliability. Carrier makes more heat pump models than most. So choosing a model with the efficiency and performance combination you want is easier. Most models are offered in sizes from 18,000 BTU (1.5 ton) to 60,000 BTU (5 ton) to fit homes of any size. As a national brand, parts for maintenance and repair are readily available. So a Carrier heat pump can be repaired by any certified HVAC pro whether they are a Carrier dealer or not. All models use Puron R-410A refrigerant that is safer for the environment. Rebates are available in many states for the installation of an efficient Carrier heat pump, and you can find out how to qualify. Hybrid Heat technologygis ideal for very cold climates. The dual fuel capacity allows most Carrier heat pumps to be installed in a split system with a gas furnace. So the heat pump does most of the heating. Therefore, the system transitions to the gas furnace in extreme cold when a heat pump is not efficient. Variable-capacity Carrier heat pump models are among the quietest available. They are operating at about 58 decibels, which is 15-20db quieter than two-stage models. Three Carrier heat pump models are rated for the salt air of coastal environments, with the most efficient of them the Carrier Infinity Coastal 25HNB6**C (17.5/9.5 – Energy Star). 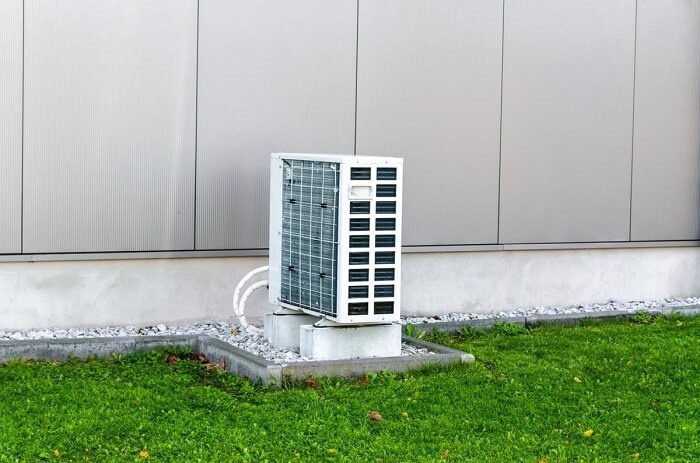 Carrier heat pumps are among the most expensive in the industry. This is partly due to excellent quality and partly because of the large marketing budget the brand has. If you plan to live in your current home for at least 10 years, the reliability of a Carrier might be worth paying more to get. Plus, a Carrier heat pump is a positive selling point if you put your home on the market. However, if you plan to move in a few years, buying a Goodman or other more-affordable brand could be a cost-effective choice in the short-term. Similarly, the longer you plan to stay where you are, the more it makes sense to buy a very efficient heat pump from the Carrier Infinity Series. This is especially true if your summers are long, hot and humid. In the coldest climates, a Hybrid Heat Carrier heat pump and a gas furnace costs more up front. But a dual fuel system will result in the lowest heating costs. It’s worth considering if you plan to be in the same home for 10 years or longer. Discuss sizing with your HVAC contractor. Too often, heat pumps that are too large are sold to homeowners to make sure it delivers enough heating and air conditioning. However, a unit that is too large can be prone to mechanical issues. Consequently, it will over-cool the thermostat set point to produce temperature fluctuations. To get the best pricing on a Carrier heat pump and installation, request written estimates from two or three local dealers. Tell them they are competing for the job. It’s a good idea to check references to make sure you’re getting your Carrier heat pump from a company with a track record of quality installation and good customer service. Thank you for reading our Carrier heat pump review. If it has been helpful, please share it with followers and friends that might be considering a heat pump for their home. Help them make an informed decision they’ll be happy with in the years ahead.